President Xi strengthened his hold on power in March, when the National People’s Congress amended the country’s constitution to enshrine “Xi Jinping Thought” and remove the two-term limit on the presidency. Observers warned that Xi’s personalization of power and departure from previous norms—including his failure to appoint a potential successor to the CCP’s Politburo Standing Committee—could have negative consequences for China’s future political stability. Also in March, as part of a larger set of changes that increased the CCP’s role in the government and society, a powerful new National Supervisory Commission was established to lead anticorruption efforts. The commission’s structure and mandate further blurred the line between party and state mechanisms while expanding its predecessors’ jurisdiction to encompass a broader swath of public employees. Internet censorship and surveillance reached new heights as implementation of the 2017 Cybersecurity Law continued to be rolled out, various new measures restricting online and mobile communications came into effect, and advancements in artificial intelligence and facial recognition technologies were incorporated into the regime’s information control and public surveillance apparatus. The government’s persecution of predominantly Muslim ethnic minorities in Xinjiang intensified dramatically, with an estimated one million or more individuals subjected to extralegal detention in “political reeducation” centers. Reports of torture and other abuse at the camps emerged during the year. Authorities also increased repression of Christians and Muslims elsewhere in China following new regulations on religious affairs that took effect nationwide in February, and persecution of the banned spiritual movement Falun Gong continued unabated. The authorities continued a years-long crackdown on independent civil society, carrying out arrests and criminal prosecutions of bloggers, activists, and human rights lawyers. Government and CCP influence over foreign and domestic nongovernmental organizations (NGOs) increased via funding and registration rules as full-scale implementation of a 2017 law on foreign NGOs took effect. There are no direct or competitive elections for national executive leaders. The National People’s Congress (NPC) formally elects the state president for five-year terms and confirms the premier after he is nominated by the president, but both positions are decided in advance at the relevant CCP congress. The CCP’s seven-member Politburo Standing Committee (PSC), headed by Xi Jinping in his role as the party’s general secretary, sets government and party policy in practice. Xi also holds the position of state president and serves as chairman of the state and party military commissions. Xi was awarded a second five-year term as general secretary at the 19th Party Congress in October 2017, and at the NPC session in March 2018 he was confirmed for a second five-year term as state president. Also at that session, the NPC approved amendments to China’s constitution that abolished the two-term limit for the state presidency and vice presidency. Combined with the absence of another PSC member young enough to serve as Xi’s successor in 2022, the move reinforced predictions that he planned to break with precedent and remain China’s paramount leader for the foreseeable future. The 3,000 NPC members are formally elected for five-year terms by subnational congresses, but in practice all candidates are vetted by the CCP. Only the NPC’s standing committee meets regularly, with the full congress convening for just two weeks a year to approve proposed legislation; party organs and the State Council, or cabinet, effectively control lawmaking. The current NPC was seated in March 2018. Elections are not administered by an independent body. The indirect elections that populate people’s congresses at various levels are conducted by those congresses’ standing committees, while village-level elections are conducted by a village electoral committee. The CCP seeks to monopolize all forms of political organization and does not permit any meaningful political competition. Eight small noncommunist parties are allowed to play a minor role in China’s political system, and are represented on the Chinese People’s Political Consultative Conference (CPPCC), an official advisory body. However, their activities are tightly circumscribed, and they must accept the CCP’s leadership as a condition for their existence. Citizens seeking to establish genuinely independent political parties and other democracy campaigners are harshly punished. China’s most prominent political dissident, Nobel Peace Prize winner Liu Xiaobo, died from cancer in 2017 while serving an 11-year prison sentence for organizing a prodemocracy manifesto. His widow, Liu Xia, had been kept under strict house arrest, but following an international campaign on her behalf, she was released and permitted to leave the country for Germany in July 2018. Also in July, 64-year-old democracy advocate Qin Yongmin, who had already spent a total of 22 years behind bars since the 1980s, was sentenced to 13 years in prison for having led a prodemocracy group that circulated online statements criticizing government policies. China’s one-party system rigorously suppresses the development of any organized political opposition, and the CCP has ruled without interruption since winning a civil war against the Nationalist Party (Kuomintang) in 1949. Even within the CCP, Xi Jinping has steadily increased his own power and authority since 2012, pursuing a selective anticorruption campaign that has eliminated potential rivals. He personally heads an unusually large number of “leading groups” that give him direct supervision over a variety of policy areas. Xi’s official contributions to party ideology were formally added to the CCP and national constitutions in October 2017 and March 2018, respectively, elevating his status above that of his immediate predecessors. Societal groups such as women, ethnic and religious minorities, and LGBT (lesbian, gay, bisexual, and transgender) people have no opportunity to gain meaningful political representation and are barred from advancing their interests outside the formal structures of the CCP. Nominal representatives of ethnic minority groups—such as Tibetans, Uighurs, and Mongolians—participate in party and state bodies like the NPC, but their role is largely symbolic. Women are severely underrepresented in top CCP and government positions, and the situation has grown slightly worse in recent years. Just one woman was named to the 25-member Politburo at the 19th Party Congress in 2017, down from the previous two. No woman has ever sat on the PSC. Since becoming CCP leader in 2012, Xi has pursued an extensive anticorruption campaign. Well over a million officials have been investigated and punished, according to official figures, including senior state and party officials from the security apparatus, the military, the Foreign Ministry, state-owned enterprises, and state media. In October 2018, for example, Lu Wei, the former head of China’s powerful internet regulator, pleaded guilty to charges of bribery; Lu was expelled from the party in February, having risen to the rank of deputy director of the CCP’s Central Committee. Sun Zhengcai, a former Politburo member and potential candidate for its Standing Committee, was purged in 2017 and sentenced to life in prison in May on corruption and bribery charges. The anticorruption effort has generated a chilling effect among officials and reduced ostentatious displays of wealth, but corruption is believed to remain extensive at all levels of government. Moreover, the initiative has been heavily politicized, as many of the elites targeted were seen as Xi’s former or potential rivals, and a 2017 change to party regulations shifted the focus of disciplinary inspections to enforcing party ideology and loyalty. The Chinese government and CCP are notoriously opaque. Since open-government regulations took effect in 2008, more official documents and information have been made available to the public. However, resistance on the part of government organs to providing specific information requested by citizens has dampened initial optimism, and budgetary information available to the public is minimal. The scope for public input and consultation on laws and policies narrowed further over the past two years as policy advocacy NGOs and intellectuals came under intensified pressure, including those working in areas that were previously not considered sensitive, such as the environment, public health, and women’s rights. Score Change: The score declined from −2 to −3 due to intensified government efforts to break down the ethnic and religious identities and control the overall numbers of Muslim minorities in Xinjiang. China is home to one of the world’s most restrictive media environments and its most sophisticated system of censorship, particularly online. The CCP maintains control over news reporting via direct ownership, accreditation of journalists, harsh penalties for public criticism, and daily directives to media outlets and websites that guide coverage of breaking news stories. State management of the telecommunications infrastructure enables the blocking of websites, removal of mobile-phone applications from the domestic market, and mass deletion of microblog posts, instant messages, and user accounts that touch on banned political, social, economic, and religious topics. Thousands of websites have been blocked, many for years, including major news and social media hubs like the New York Times, Le Monde, YouTube, Twitter, and Facebook. The already limited space for media freedom shrank further during 2018, as internet restrictions increased and investigative journalism struggled. Online controls were particularly evident surrounding the announcement in late February of the planned constitutional amendment to abolish presidential term limits. The news triggered massive censorship of critical and humorous commentary, including large-scale deletions of both posts and accounts on the microblogging platform Sina Weibo, the blocking of dozens of keywords, the suspension of at least one mobile phone application, and the interrogation of users of the popular instant-messaging tool WeChat. Continued implementation of the 2017 Cybersecurity Law, along with other regulations and increased pressure on private technology companies, resulted in greater and more sophisticated internet censorship, including on video-streaming platforms and WeChat, which began employing artificial intelligence to scan and delete images deemed to include banned content. In April, several extremely popular applications that provided news or enabled the sharing of humorous content to tens of millions of users were abruptly suspended or shut down for failing to “rectify” their content sufficiently. The increased media controls also affected the entertainment industry, which received orders in July to ensure that multimedia productions brim with “positive energy” and “illustrate core socialist values.” Meanwhile, authorities sought to improve their monitoring and management of influential online commentators, mysteriously detained movie star Fan Bingbing for alleged tax evasion, and blocked the website of US television network HBO after British comedian John Oliver critiqued Xi Jinping on his satirical news program. According to the Committee to Protect Journalists (CPJ), 47 journalists were jailed in China as of December 2018, although the actual number of people held for uncovering or sharing newsworthy information is much greater. Foreign journalists continued to face various forms of harassment during the year, including physical abuse, short-term detention to prevent meetings with certain individuals, intimidation of Chinese sources and staff, the withholding of or threats to withhold visas, and surveillance. Despite heavy restrictions on media freedom, Chinese journalists, grassroots activists, and internet users continue to seek out and exploit new ways to expose official misconduct, access uncensored information, and share incisive political commentary, although they risked reprisals when doing so. Tens of millions of people used circumvention tools like virtual private networks (VPNs) to reach the uncensored global internet or accessed blocked overseas broadcasts via satellite, but a number of activists were sentenced to prison for selling VPN services or helping people to install satellite dishes for viewing overseas Chinese stations. Score Change: The score declined from 1 to 0 because the already limited space for media freedom shrank further during 2018, as the government worked more vigorously to eliminate the remaining avenues for circumventing censorship. The CCP regime has established a multifaceted apparatus to control all aspects of religious activity, including by vetting religious leaders for political reliability, placing limits on the number of new monastics or priests, and manipulating religious doctrine according to party priorities. The ability of China’s religious believers to practice their faith varies dramatically based on religious affiliation, location, and registration status. Many do not necessarily feel constrained, particularly if they are Chinese Buddhists or Taoists. However, a 2017 Freedom House report found that at least 100 million believers belong to groups facing high or very high levels of religious persecution, namely Protestant Christians, Tibetan Buddhists, Uighur Muslims, and Falun Gong practitioners. During 2018, the government increased restrictions on a range of religious communities, including state-sanctioned Christian congregations and Hui Muslims. New regulations on religious affairs that took effect in February strengthened controls on places of worship, travel for religious purposes, and children’s religious education. In May, online retailers were barred from selling copies of the Bible. The Vatican and the Chinese government reached a provisional agreement in September on the appointment of Catholic bishops. While the deal was not made public, it would reportedly allow the government to nominate bishops and the Vatican to exercise a veto. The Vatican also recognized seven government-approved bishops who had previously been excommunicated; the status of dozens of existing bishops recognized by the Vatican but not by the government remained unclear. Persecution of unofficial Protestant groups continued during the year. In January, authorities in Shanxi Province demolished the Golden Lampstand Church, where an unregistered congregation of more than 50,000 people had worshipped, and placed some church members under house arrest. The especially intense and intrusive curbs on the practice of Islam in Xinjiang, which are apparently aimed at breaking down the religious identify of Muslims in the region, have affected the wearing of religious attire, attendance at mosques, fasting during Ramadan, choice of baby names, and other basic forms of religious expression. In 2018, the Chinese authorities increased the punishment of peaceful religious practices under charges of “religious extremism,” resulting in detention and indoctrination for many Uighur, Kazakh, and Hui Muslims. Among other cases during the year, a prominent scholar of Islam, 82-year-old Muhammad Salih Hajim, died in custody at a reeducation camp in January, about 40 days after he was detained. In September, Radio Free Asia reported that most of his family members were in detention or missing, including his young grandchildren. The regime’s campaign against the Falun Gong spiritual group continued in 2018. Hundreds of Falun Gong practitioners have received long prison terms in recent years, and many others are arbitrarily detained in various “legal education” facilities. Detainees typically face torture aimed at forcing them to abandon their beliefs, sometimes resulting in deaths in custody. Although repression of the group appears to have declined in some locales, a leaked document from Liaoning Province called for an intensified effort to crack down on Falun Gong and the Church of Almighty God—a banned quasi-Christian group—in the province from October to December, with a particular emphasis on suppressing means of communication that are used to disseminate reports of abuse outside China. Academic freedom is restricted with respect to politically sensitive issues, and the room for academic discussion dwindled further in 2018, even on what were previously less sensitive topics like labor rights, the rule of law, or economics. Efforts to police day-to-day classroom discussions have increased at all levels of education, including via installation of surveillance cameras in some classrooms and the creation of special departments to supervise the political thinking of teaching staff. The CCP controls the appointment of top university officials. Many scholars practice self-censorship to protect their careers, and several professors faced reprisals during the year for expressing views that were deemed critical of the CCP’s governance, whether in class, online, or in interviews with overseas media. Political indoctrination—including the study of “Xi Jinping Thought”—is a required component of the curriculum at all levels of education. In October, Cornell University in the United States ended its joint program with Renmin University in Beijing due to concerns about restrictions on academic freedom and reprisals against left-wing Chinese student activists who campaigned for the rights of low-income workers. The government’s ability to monitor citizens’ lives and communications has increased dramatically in recent years, inhibiting online and offline conversations. Social media applications like WeChat, used by hundreds of millions of people, are known to closely monitor user discussions so as to conform with government content restrictions. Surveillance cameras, increasingly augmented with facial recognition software, cover many urban areas and public transportation, and are expanding into rural regions. Pilot programs for a Social Credit System—expected to become mandatory and nationally operational in 2020—rate citizens’ trustworthiness based not only on financial responsibility or debt records, but also on purchasing behavior, video gaming habits, social acquaintances, and adherence to rules in public spaces. Devices used by police to quickly extract and scan data from smartphones, initially deployed in Xinjiang, have spread nationwide. The 2017 Cybersecurity Law requires companies to store Chinese users’ data in China and submit to potentially intrusive security reviews. Apple was one of several international companies to comply with the provisions in 2018, transferring its iCloud data to servers run by a company owned by the Guizhou provincial government. Electronic surveillance is supplemented with offline monitoring by neighborhood party committees, “public security volunteers” who are visible during large events, students who report on classmates and teachers, and an especially heavy police presence in places like Xinjiang. Court verdicts have cited private social media communications, public surveillance video, and personal meetings as evidence in cases where citizens were punished for expressing their views on political or religious topics. China’s constitution protects the right of citizens to demonstrate, but in practice protesters rarely obtain approval and risk punishment for assembling without permission. Spontaneous demonstrations have thus become a common form of protest. Some are met with police violence, and organizers often face reprisals, even in cases where local officials ultimately concede to protesters’ demands. Armed police have been accused of opening fire during past protests in Xinjiang. The ability of civil society organizations to engage in work related to human rights and governance is extremely constrained and has decreased over the past two years. Implementation of a 2017 law on foreign NGOs and 2016 legislation governing philanthropy has significantly reduced civic groups’ access to funding from foreign sources and has increased supervision and funding from the government. NGOs that attempt to retain a greater degree of independence, including those working on human rights and the rule of law, are increasingly marginalized. The space for organizations to operate without formal registration, a previously common practice, has also shrunk, although some continue to do so. Several prominent NGOs that focused on policy advocacy, including in less politically sensitive areas like public health or women’s rights, have been shuttered in recent years under government pressure. Hundreds of thousands of NGOs are formally registered, but many operate more as government-sponsored entities and focus on service delivery. The foreign NGO law that took effect in 2017 prohibits the groups from engaging in activities that the government deems to “endanger China’s national unity, security, or ethnic unity” or “harm China’s national interests and the public interest.” Foreign NGOs operating in China are required to register with the Ministry of Public Security instead of the Ministry of Civil Affairs, which has managed civil society organizations in the past, and to find a “professional supervisory unit”—a Chinese entity willing to act as sponsor. The changes give the police the authority search NGOs’ premises without a warrant, seize property, detain personnel, and initiate criminal procedures. The law’s implementation impeded the activities of foreign and domestic NGOs during 2018. Hundreds of foreign NGOs had registered offices or temporary activities, though the vast majority were trade and agricultural associations, or groups involved in issues such as cultural exchange, public health, or disability rights. A list of sponsoring Chinese entities documented by the ChinaFile NGO Project indicated a heavy presence of state and CCP-affiliated organizations. In December, Chinese officials attempted to justify the arrest of former Canadian diplomat Michael Kovrig for “endangering national security”—in apparent retribution for Canada’s detention of Chinese telecommunications executive Meng Wanzhou, who was accused of fraud related to US sanctions against Iran—by noting that the International Crisis Group, for which he worked as a senior adviser, was not registered. Score Change: The score declined from 1 to 0 because implementation of a 2017 law on foreign NGOs and 2016 legislation regulating philanthropy has significantly reduced NGOs’ ability to operate legally and independently, and several prominent groups have been forced to close in recent years. The only legal labor union organization is the government-controlled All-China Federation of Trade Unions (ACFTU), which has long been criticized for failing to properly defend workers’ rights, but has reportedly become even less of an ally to workers in recent years. The authorities continued a multiyear crackdown on labor activists and NGOs during 2018. Beginning in July, police and managers engaged in reprisals against workers at Shenzhen Jasic Technology in Guangdong Province who had tried to establish a union and elect their own leaders, despite the fact that the group initially had approval from a local unit of the ACFTU. The crackdown extended to student activists and representatives of labor NGOs who sought to support the workers; they were variously harassed, detained, interrogated, and threatened. Despite the constraints on legal union activity, strikes and labor protests continued to be reported across the country. About 1,700 such incidents were documented by the China Labour Bulletin in 2018. The CCP dominates the judicial system, with courts at all levels supervised by party political-legal committees that have influence over the appointment of judges, court operations, and verdicts and sentences. CCP oversight is especially evident in politically sensitive cases, and most judges are CCP members. In March 2018, Supreme People’s Court president Zhou Qiang stated that the judiciary’s first priority during the year would be to defend “the party’s centralized and unified leadership, with Xi Jinping as the core leader.” He advocated ideological conformity and absolute obedience to the CCP for the country’s judges. Incremental reforms aimed at improving judicial performance, while maintaining party supremacy, have been introduced since 2014. The changes focused on increasing transparency, professionalism, and autonomy from local authorities. Many judges complain about local officials interfering in cases to protect powerful litigants, support important industries, or avoid their own potential liability. Broader judicial reforms introduced in recent decades have sought to guarantee better access to lawyers, allow witnesses to be cross-examined, and establish other safeguards to prevent wrongful convictions and miscarriages of justice. However, limitations on due process—including excessive use of pretrial detention—remain rampant, and a multiyear crackdown on human rights lawyers has weakened defendants’ access to independent legal counsel. Rights attorney Wang Quanzhang was put on trial in late December after 3.5 years of incommunicado detention; police harassed and mistreated his wife during the year when she sought information on his whereabouts and physical condition, and she was barred from attending the trial. Criminal trials are frequently closed to the public, and the conviction rate is estimated at 98 percent or more. Adjudication of minor civil and administrative disputes is relatively fair, but cases that touch on politically sensitive issues or the interests of powerful groups are subject to decisive “guidance” from political-legal committees. In recent years, a series of human rights lawyers, activists, and other high-profile detainees have been presented in the media giving what are widely assumed to be forced confessions, undermining their right to due process. A report published in April 2018 by the rights group Safeguard Defenders documented the details surrounding 45 such confessions recorded between 2013 and 2018, noting in particular the collaboration of state broadcaster China Central Television in the repressive practice. Despite the abolition of “reeducation through labor” camps at the end of 2013, large numbers of people—particularly petitioners, grassroots rights activists, Falun Gong adherents, and Uighur Muslims—are still held in other forms of arbitrary detention, including the growing network of extralegal political indoctrination centers in Xinjiang. A new form of extrajudicial detention for targets of anticorruption and official misconduct investigations, known as liuzhi, was introduced in 2018, in tandem with the establishment of the NSC. Individuals can be held in liuzhi for up to six months without access to legal counsel. Conditions in places of detention are harsh, with reports of inadequate food, regular beatings, and deprivation of medical care. Recent legal amendments encourage judges to exclude evidence obtained through torture, but in practice, torture and other forms of coercion are widely used to extract confessions or force political and religious dissidents to recant their beliefs. During 2018, human rights lawyers detained for their work reportedly experienced severe abuse in custody, including forced medication, while other activists were denied medical parole or treatment despite serious health concerns. Security agents routinely flout legal protections, and impunity is the norm for police brutality and suspicious deaths in custody. Citizens who seek redress for abuse in custody often meet with reprisals and even imprisonment. In May 2018, the first known death of a liuzhi detainee was reported. The man, whose body showed signs of abuse, was the 45-year-old driver of a Fujian Province official being investigated for corruption. The government has gradually reduced the number of crimes that carry the death penalty, which totaled 46 as of 2018, but it is estimated that thousands of inmates are executed each year; the true figure is considered a state secret. The government claims it has ended the transplantation of organs from executed prisoners. However, the scale of the transplantation industry and the speed with which some organs are procured far exceed what is feasible via the country’s nascent voluntary donation system. Rights activists, journalists, and medical professionals continued to express concerns in 2018 regarding unethical and illicit organ sourcing from prisoners, including religious and ethnic minorities such as Falun Gong adherents and Uighurs. Chinese laws formally prohibit discrimination based on nationality, ethnicity, race, gender, religion, or health condition, but these protections are often violated in practice. Several laws bar gender discrimination in the workplace, and gender equality has reportedly improved over the past decade. Nevertheless, bias remains widespread, including in job recruitment and college admissions. The #MeToo movement against sexual harassment, which began in the United States and has spread to China, helped to raise awareness of the problem during 2018. A section on workplace sexual harassment was included in a draft of the new civil code published in August and set to be adopted in 2020; it imposes new requirements on employers to prevent abuses and address complaints. New stories of sexual harassment or assault went viral online on a regular basis, even as the hashtag itself and a prominent feminist Weibo account were censored during the year. Ethnic and religious minorities, LGBT people, the disabled, and people with HIV/AIDS, hepatitis B, or other illnesses also face widespread discrimination in employment and access to education. Religious and ethnic minorities—especially Falun Gong adherents, Uighurs, and Tibetans—are disproportionately targeted and abused by security forces and the criminal justice system. For example, official figures published during 2018 showed that the number of criminal arrests in Xinjiang in 2017 made up over 21 percent of the national total, even though the region’s population amounts to less than 2 percent of China’s total. Despite China’s international obligation to protect the rights of asylum seekers and refugees, Chinese law enforcement agencies continue to repatriate North Korean defectors, who face imprisonment or execution upon return. During 2018, the authorities introduced new security measures to limit the flow of refugees at the border and increased rewards for informants who identify those hiding in China. China’s hukou (household registration) system prevents roughly 290 million internal migrants from enjoying full legal status as residents in cities where they work. The government has announced plans to gradually reform the system, expanding the benefits of urban residency to 100 million migrants based on their education, employment record, and housing status, with the most stringent requirements in major cities like Shanghai and Beijing and much looser standards applied in smaller municipalities. The plan would still leave a large majority of migrants without equal rights or full access to social services such as education for their children in local schools. During 2018, authorities in Beijing continued implementing forced evictions and demolitions that began in November 2017 in neighborhoods where migrants lived or worked; officials cited safety violations, but observers linked the clearances to government plans to cap Beijing’s population. Many other Chinese citizens also face obstacles to freedom of movement within the country. Police checkpoints throughout Xinjiang limit residents’ ability to travel or even leave their hometown. Elsewhere in China, as initial stages of a Social Credit System were introduced during 2018, millions of citizens reportedly encountered restrictions on air and train travel due to their low scores. While China’s constitution gives individuals the right to petition the government concerning a grievance or injustice, in practice petitioners are routinely intercepted in their efforts to reach Beijing, forcefully returned to their hometowns, or extralegally detained in “black jails,” psychiatric institutions, and other sites, where they are at risk of abuse. Millions of people are affected by government restrictions on their access to foreign travel and passports, many of them Uighurs and Tibetans. Overseas Chinese nationals who engage in politically sensitive activities are at risk of being prevented by the authorities from returning to China, or choose not to return for fear of being arrested. The authorities dominate the economy through state-owned enterprises in key sectors such as banking and energy, and through state ownership of land. 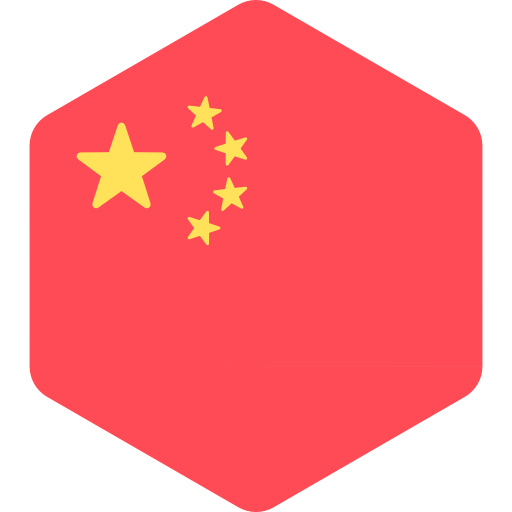 Chinese citizens are legally permitted to establish and operate private businesses. However, those without strong informal ties to powerful officials often find themselves at a disadvantage in legal disputes with competitors, in dealings with regulators, or in the context of politicized anticorruption campaigns. Foreign companies and executives can face arbitrary regulatory obstacles, debilitating censorship, demands for bribes, travel restrictions, or negative media campaigns. In June 2018, regulators pressured private firms listed on the country’s stock exchanges to “strengthen party-building” within their ranks; official sources reported in 2017 that 70 percent of private companies in China had internal party organizations. A legal amendment allowing all families to have two children—effectively abolishing the one-child policy that had long applied to most citizens—took effect in 2016. While the authorities continue to regulate reproduction, the change means that fewer families are likely to encounter the punitive aspects of the system, such as high fines, job dismissal, reduced government benefits, and occasionally detention. Abuses such as forced abortions and sterilizations are less common than in the past but continue to occur. Ethnic minorities are still permitted to have up to three children. Muslims in Xinjiang face restrictions and penalties related to aspects of their appearance with religious connotations, such as face-covering veils on women or long beards on men. The country’s first law designed to combat domestic violence came into effect in 2016, but domestic violence continues to be a serious problem, affecting one-quarter of Chinese women, according to official figures. Activists have complained that the new law fails to provide support for victims, and that it is extremely difficult for victims to win court cases against their abusers. While workers in China are afforded important protections under existing laws, violations of labor and employment regulations are widespread. Local CCP officials have long been incentivized to focus on economic growth rather than the enforcement of labor laws. Exploitative employment practices such as wage theft, excessive overtime, student labor, and unsafe working conditions are pervasive in many industries. Forced labor and trafficking are also common, frequently affecting rural migrants, and Chinese nationals are similarly trafficked abroad. Forced labor is the norm in prisons and other forms of administrative detention for criminal, political, and religious detainees. In 2018, authorities in Xinjiang reportedly began using detainees in the region’s new network of detention camps for forced or low-paid labor at factories built inside or near the facilities.